How does the ice cream franchise fare with the car detailing franchise in terms of cost, growth and other factors? Read on and find out! The ice cream franchise is one of the most successful businesses in the country. Being part of the food and refreshment industry, it obviously has a lot of possible avenues and unlimited market. Almost every other American household has ice cream in their freezer at any time. But how does the ice cream franchise fare with the car detailing franchise using the same guidelines? Read on and find out! The ice cream industry’s success is backed up by statistics. According to International Dairy Foods Association, a good number of ice cream companies in the US have been in business for more than 50 years. 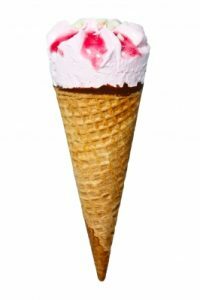 In 2009, ice cream sales in the US was estimated to be 14.5$ from a report by Houston Chronicle.How about in the recent years? IBISworld recently reported that there has been a positive increase in the sales of ice cream in the last 5 years. This growth is expected to rise with an annual rate of 16.3%. Now the car detailing franchise is not to be left behind. With an 8B revenue in the IBIS World 2015 report. In addition to this, the automotive franchise industry, excluding dealers, generates around $25 billion in sales annually and employs over 175,000 people in 35,600 franchise establishments according to Franchisedirect.com. Franchisehelp.com published that the costs to join the Dairy Queen ice cream franchise business is estimated at a total of $382,000 -$1.8M. The franchise fee is at $25,000 – $35,000. Continuing fee includes 4-5% of gross sales tax. Another ice cream franchise business, Ben and Jerry’s has estimated its cost at $189,600 – $430,800 for a full sized shop. If you have a much lower capital you can start with a kiosk at less than $250,000. What are the costs to join the auto detailing industry? In a recent blog published by DetailXperts, it mentions that you would need a liquid capital of about $70, 000. Investment requirement of up to $182, 000 and a franchise fee of $35,000. The common end market of ice cream franchises and frozen desserts are households, and establishments like cafes and restaurants. In the past, the focus of ice cream franchise is mainly on children. However, with the decline of the youth population, the ice cream industry is offering more flavors and innovations to accommodate teenagers and young professionals. This includes more adventurous flavors and healthier choices. They also made the product more accessible to events and parties like mobile kiosks and cubicles in shopping malls. The auto detailing industry is something that can cater to a lot of target markets. There is a big chunk of the millennials, seniors, and the list can go on. There are various ways to reach them effectively too. Studies show that the trend of the ice cream industry is towards answering health concerns and more flavors. This is according to a market intelligence agency: among the more popular choices are a focus on using organic products, using healthier ingredients like more fruits and vegetables and being dairy free. According to the same source, “In an attempt to attract the more sophisticated palates of some adults, brands are incorporating everything from bitter fruits and vegetables to cheese and alcohol, creating signature flavors.” There is definitely a lot to look forward to with the ice cream franchise business. Technavio, a leading market research company, predicts a continuous rise in the market growth of ice cream franchises and related businesses reaching 13.31B in 2020. The auto detailing industry on the other hand has been consistent in its increase in revenue. Despite the recession and the various issues faced by various industries, the automotive industry including the car detailing industry is something that stands strongly against various hurdles. It will continue to be one of the most lucrative businesses to invest in the coming years. True, there are is a lot of promise offered by ice cream franchise businesses, but we need to understand that this type of business needs much consideration in terms of location and weather/season. You have to consider that you have a delicate product that is dependent on the temperature of the environment where it is being served. If you want a mobile ice cream business franchise, you need to think about the costs of your mobile ice cream truck. It cannot be just any other truck as you will need refrigeration equipment. Franchisedirect.com advises would-be franchisees that this type of business is a seasonal business. You would not expect the same sales reports during the summer months in the winter season. This is something that has to be looked into because the fees don’t stop in winter. 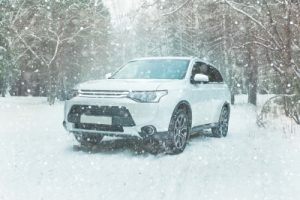 Although the car wash industry and auto detailing industry can also be affected by the winter season, it is not as dependent to such factor as compared to the ice cream franchise business. In fact, there are various ways to boost your revenue during this season. These 2 franchise options can be promising indeed. However, your choice of business will be based on many factors like your interests, location, capital available and skills as a franchisee. Do you want to join the growing DetailXperts franchise opportunity? You will be guided every step of the way from startup to actual operations.